A full range of RF products, Automatic Matching Networks and components ranging in powers from 125W to 30kW and frequencies from 100kHz to 40.68MHz. Fast turnaround factory approved repairs on all Seren IPS products including latest Engineering changes backed by comprehensive warranty. Tailor made RF Training courses developed around your requirements either on-site or at remote locations. All class sizes welcome. Vacuum chamber for matching demo's. Full telephone, on-site or factory support provided for all RF related issues. As well as Sales and Service Support we offer training and application support. We are specialized RF and Electrical and Electronic Engineers with a deep knowledge of RF plasma systems. 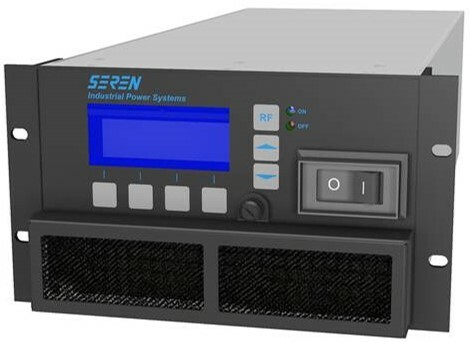 We are the European authorized agents for Seren Industrial Power Supplies, USA. From our facilities to the South of London, UK we provide full technical sales, service and training support for RF Generators, Automatic Matching Networks and associated components. We sell and service products in a wide range of industries including the Semiconductor, Thin Film Coating, Dielectric Heating and Analytical Instruments markets. RF Industries has over 50 years combined RF experience working in the Semiconductor Plasma and other industrial areas. We are able to offer expert advice and provide cost effect solutions for all your RF process requirements.